The $410 million project, which includes $248 million in construction costs, is the largest construction contract in Rhode Island Department of Transportation history, involving an interchange that serves as an east-west regional link between interstates 295, 95 and 195, accommodating 100,000 trips per day. 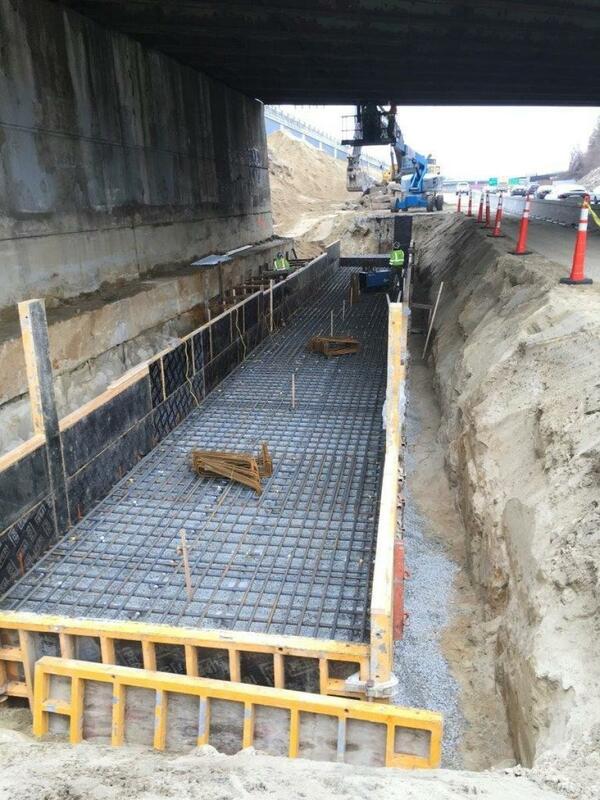 The reconstruction of the Route 6 & Route 10 Interchange in the Olneyville area, just west of downtown Providence, began this fall and will lead to the replacement of seven of the nine bridge structures and the creation of a "missing move" flyover ramp to improve regional traffic flow. The design-build project is being built by 6/10 Constructors, a joint venture with Barletta Heavy Industries and VHB, two Massachusetts firms, as the lead contractor and design firm. Also on the team are O&G Industries, D.W. White and Aetna Bridge Co. on the construction side and Aecom, Crossman Engineering and McMahon Associates on design. 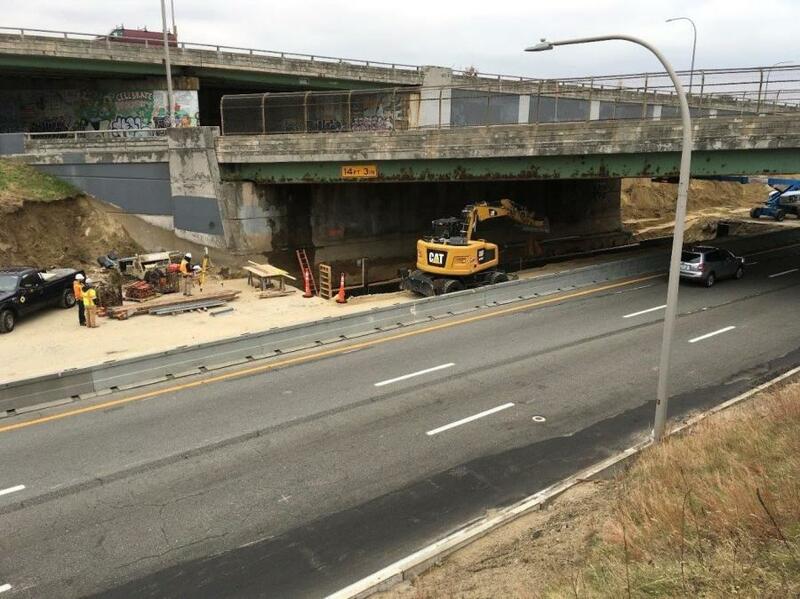 "They broke ground in January and did survey work over the summer and they're working to build a temporary section of the highway so they can start bridge structure work," said Charles St. Martin, a RIDOT spokesperson. "They're getting into the meat of building the new exchange." A number of traffic shifts will be instituted to facilitate construction. "We built a temporary alignment of Route 10 North and shifted traffic to where the old Route 10 North was so we can begin construction of bridge components. We have another shift on the start of Route 6 West where we closed an exit and rerouted traffic through city streets," St. Martin added. "But we will be able to keep traffic moving during all peak periods." Removing the Huntington Route 10 southbound viaduct and lowering the roadway below reconstructed bridges on Westminster Street and Broadway. Connection of the "missing move" from Route 10 northbound to Route 6 westbound by constructing a flyover ramp. Replacing the Tobey Street on-ramp with a new two-way connection between Tobey Street and Harris Avenue. Constructing new bridge crossings over the highway for Westminster Street, Broadway and Harris Avenue/Tobey Street. Building new bicycle/pedestrian paths from Union Street to Tobey Street. 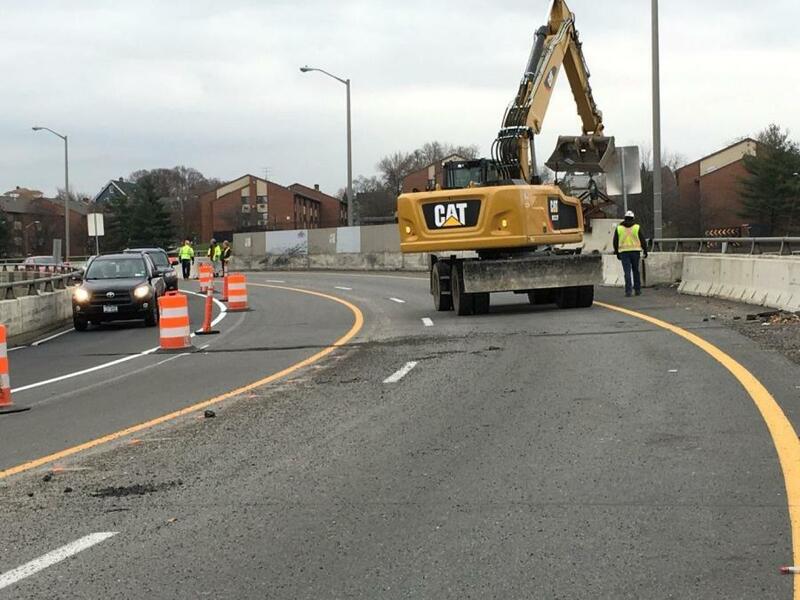 RIDOT has spent millions of dollars on shoring and bracing repairs of bridges over the past several years to meet safety and load requirements — $5 million alone in 2017. The current job will overcome the bandaging work that has been done thus far, reconstructing the entire interchange while replacing or removing the seven structurally deficient bridges. The result will be better local traffic circulation and improved access, with additional measures taken for landscaping and visual improvements. Construction that began this fall will be completed in the fall of 2023.